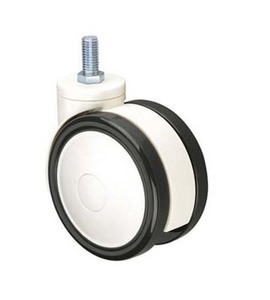 -1.Single wheel central locking castor with total brake or free, directional lock . 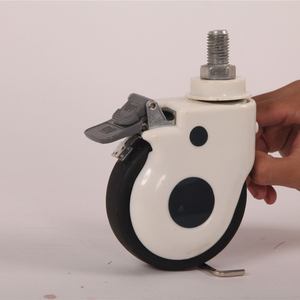 Wheel with double ball bearing, it assures of stable rolling. Wear-resisting TPU wheel tread assures of quiet and stable rolling. 4. After sending, we will track the products for you once every two days, until you get the products. 5. Gerbon will offer free samples in reasonable quantity to customer for quanlity checking. 6. Samples arrangement: Samples will be prepared to sending in about 3 working days. 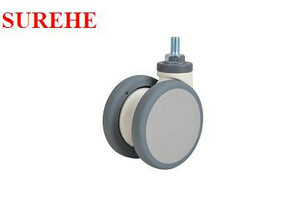 Welcome to our seeing is believing, our company, show room and factory in same place. Q: Where is your factory9 A: Ningbo City, Zhejiang province, China. -We promise all spare parts available in lifetime use. 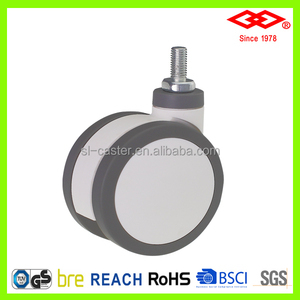 &bull;Production / inspection report before your order of the silent castors. &bull;We promise all spare parts available in lifetime use. &bull;We are a sales team, with all techinical support from engineer team. We accept customer' order or cooperate to produce new products with details diagram&technical data. We can help customer to produce new mould and manufacture in bulk quantity. We offer top aftersale service ,if any quality problem ,will provide free sparepart timely. 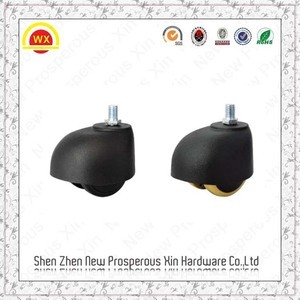 -1.Twin wheel central locking castor with total brake or free, directional lock . 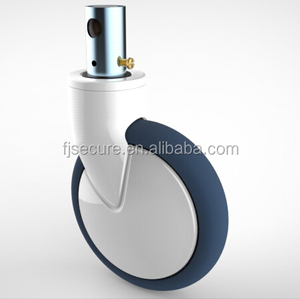 Twin wheels with precision ball bearing and covers. Housing and wheel core made of Nylon-PA6. 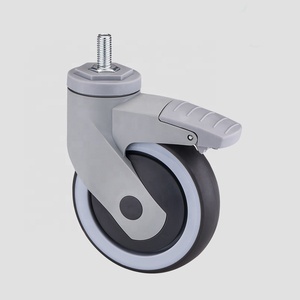 High load-bearing capacity TPU wheel tread assures of quiet and stable rolling. 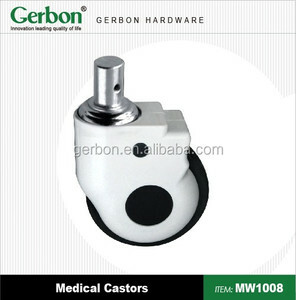 Alibaba.com offers 7,760 hospital bed castor products. About 76% of these are hospital beds, 6% are material handling equipment parts, and 2% are furniture casters. 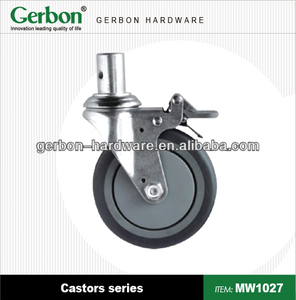 A wide variety of hospital bed castor options are available to you, such as furniture caster, hospital furniture. You can also choose from metal, wood, and plastic. As well as from commercial furniture, home furniture. And whether hospital bed castor is hospital bed, home bed, or hospital cabinet. 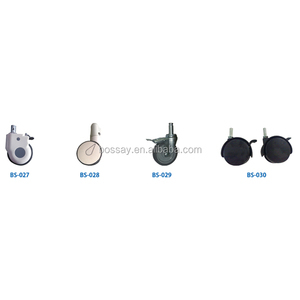 There are 7,760 hospital bed castor suppliers, mainly located in Asia. The top supplying country is China (Mainland), which supply 100% of hospital bed castor respectively. Hospital bed castor products are most popular in Southeast Asia, North America, and Domestic Market. You can ensure product safety by selecting from certified suppliers, including 3,250 with ISO9001, 2,890 with ISO13485, and 1,241 with ISO14001 certification.